Afghanistan : When and where to go? It is obvious that at present this country is not a great tourist destination: Many of its riches have been destroyed and an unhappy and hungry population is not symptomatic of a pleasant trip. However there is no lack of places to visit. 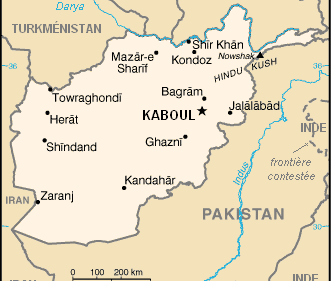 The aerial route is the most practical to get to Afghanistan; the only international airport is at Kabul. At present, no tourist visas are being issued for Afghanistan. The currency in circulation is the Afghani. A hotel room costs around €50 if you require a minimum of comfort. To ravel within the interior of the country there are interior airlines operating as well as crowded buses without fixed timetables that stop frequently without warning and for a variety of reasons. Reminder: Unveiled women attract a lot of attention!